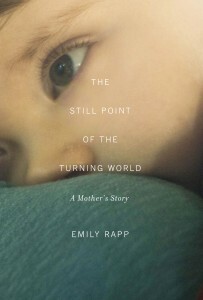 Emily Rapp is the author of The Still Point of The Turning World, a memoir of raising a child (Ronan) with infantile Tay-Sachs disease, a rare degenerative disorder that always ends in death. In the book, Rapp, a graduate of the Harvard Divinity School, seeks meaning in the moment by exploring theological, literary, and artistic interpretations of suffering, from Buddhism to C.S. Lewis to Frankenstein. Matt Borondy: I’m never going to be a mother, nor the parent of a child with Tay-Sachs, but I read The Still Point of the Turning World cover-to-cover. Why do you think people are reading your book? 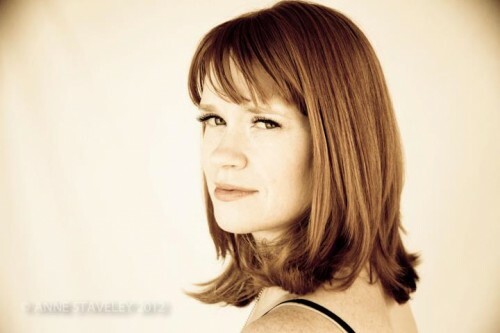 Emily Rapp: The book is about being a parent, being a mother to a dying baby, but it’s also about grief and loss, which are universal experiences that we will all face. I also think there’s a kind of urgency in the book that people respond to, a sense that if we have limited time with a loved one, all of those moments become that much more important and intense. Life is uncertain; we know this, and although we think it might be more uncomfortable to relax into a false sense of security, it’s actually the case that knowing how precarious our lives are can be liberating. Or I found it to be that way, and I know many other people who have experienced losses like this have felt that same way. And I hope people are reading it for the prose, and also to learn about a remarkable boy who made such an impact on so many in his short life. MB: Do you believe that every human experience, even the most joyful, involves some level of suffering? ER: I think joy is made more complicated and troubling and also RICH because it holds within it the fact that we will eventually die, and we will lose people and things that we love. I think experiences of joyfulness are more magnified, more fully experienced, when you have known true suffering, because you understand that all of these great epic feelings are blips, really. The present tense is the only lucky one, as my friend Rachel Dewoskin reminds me. When you love someone, the thought of losing them is strangling, stifling — but you wouldn’t feel such intense grief without having felt intense love. So you truly can’t have one without the other. I also think we make our own suffering by refusing to really wake up to and enjoy those joyful moments without attaching to either the future or the past. Doing this, however, is so difficult to do. We have to be constantly reminded. Unless we’re the Buddha, and most of us (all of us?) are not. 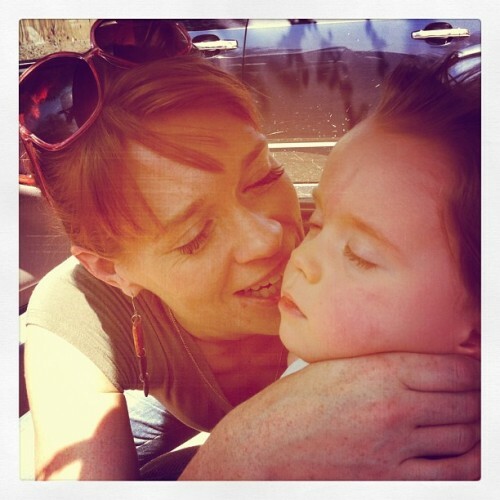 MB: You’ve said that you would have aborted Ronan if you knew he had Tay-Sachs disease. I agree with that position and believe most people would do the same. Given that no one is immune to suffering and we’re all genetically flawed and headed for certain death, I’m wondering where you’d place the threshold at which a child becomes worth bearing. ER: I think it can be both/and. I would have aborted Ronan, but I also am so glad I had him. I think every child is “worth” bearing, I don’t think that’s the issue. I would not place the threshold on anyone else’s behalf. That kind of decision is deeply personal. MB: Some people seek pain, glorify it, delight in both feeling and watching it. Others run from it at all costs. Is pain inherently good, bad, or neutral, in the end? ER: I think it’s inevitable. As such, it probably includes the whole range of tags and descriptions. It’s also impossible to truly understand another person’s pain, so it’s therefore difficult to qualify or quantify. MB: A theme in your book and in your other interviews is that people are often incompetent at dealing with others’ grief. Is this a cultural issue, given that we’re conditioned to outsource our activities and cope with grief by sending stupid greeting cards written by someone else, or does it go beyond that? ER: I think we all run around thinking that we won’t die. We’re afraid of it, but we don’t think it’s going to happen to us. So when other people are experiencing something, most people take the narcissistic approach and say, “I can’t imagine,” when 1) they actually can; and 2) saying such a thing does not mean they will be immune to suffering. You don’t get what you imagine or even what you deserve; you get what you get. We don’t like this, and we kick against it. And also, we don’t want to deal with grief because it’s wild. People get hysterical, angry, despondent, and depressed. It’s no picnic, and I think we are addicted to escapism in this country. MB: Can skillful, true compassion be taught intellectually, or does it have to be self-developed through experience? MB: T.H. White wrote, “The best thing for being sad is to learn something.” A Buddhist story claims that when you are feeling discouraged the best thing to do is “encourage others.” When you feel sad, what do you do? ER: Watch Law and Order! True story, at least sometimes. I write when I’m sad now — I never did before Ronan, but now I do. And I talk to people. I try to exercise. I eat ice cream. And I try, although sometimes I can’t, to just sit with it. Feel it. That’s the very hardest thing to do. MB: What’s your involvement with yoga and meditation? How do they complement your writing? ER: I do yoga haphazardly, and I have always known meditation would help me but find it SO difficult. That said, when I’ve had a strong yoga and meditation practice, my writing has transformed in terrific ways. MB: What’s the difference between luck and karma? Do you believe in either? ER: I don’t believe in either one. I think we use those words as a way of trying to construct order around chaos. I believe that things happen. It’s all caprice. Purchase The Still Point of the Turning World. 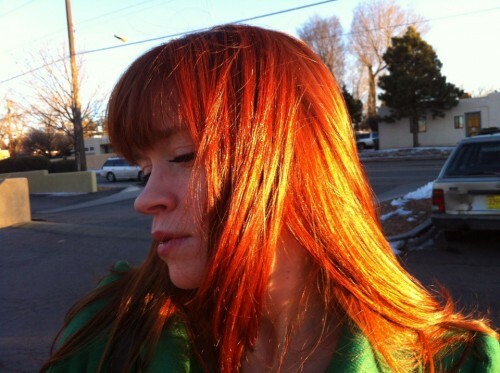 Posted in Author Interviews and tagged Buddhism, Emily Rapp, Memoirs, parenting, Philosophy. Bookmark the permalink. Trackbacks are closed, but you can post a comment.